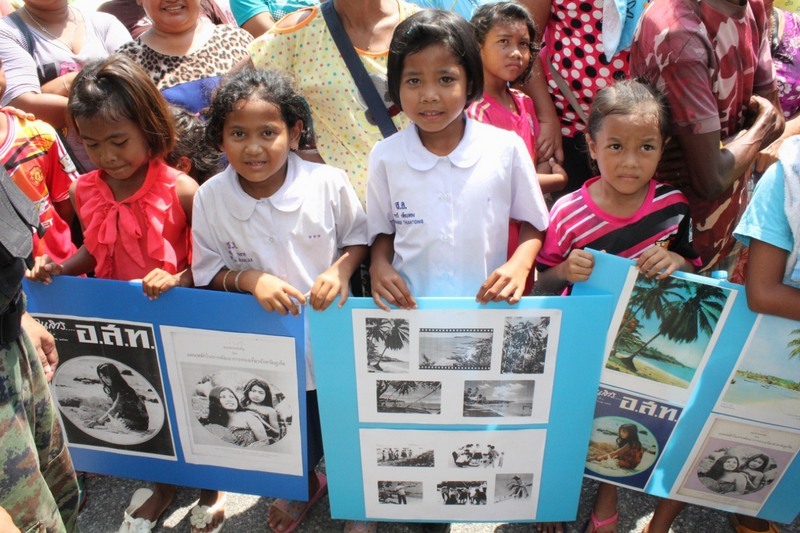 PHUKET: The Rawai sea gypsy community have turned down an offer to move their scared site to 800 square metres of land donated by developer Baron World Trade Co Ltd so that the company may build a 33-rai villa project where the villagers once prayed. Instead they will take the “title fight” to court in the belief that the land titles being used to claim ownership of the land were issued illegally. Phuket Governor Chamroen Tipayapongtada relayed the news after a closed-door meeting at Provincial Hall today (Feb 2). “Chatree Madsatun, the legal representative of Baron World Trade Co Ltd, said at the meeting that the Baron World Trade Co Ltd had proposed a solution by offering 2 ngan (800sqm) of land for villagers to use as a new ceremony site and asked that the villagers move their ceremonial sala, or ‘Balai table’, to this new site,” Gov Chamroen told reporters after the meeting. “But the majority of the villagers refused to relocate their ancestral place of worship, so we asked the company to reconsider the plan,” he added. Another sticking point that became evident today was that the Chanote land title used by Baron World Trade Co Ltd to claim the beachfront plot of the development did not mark that the actual foreshore was public land. 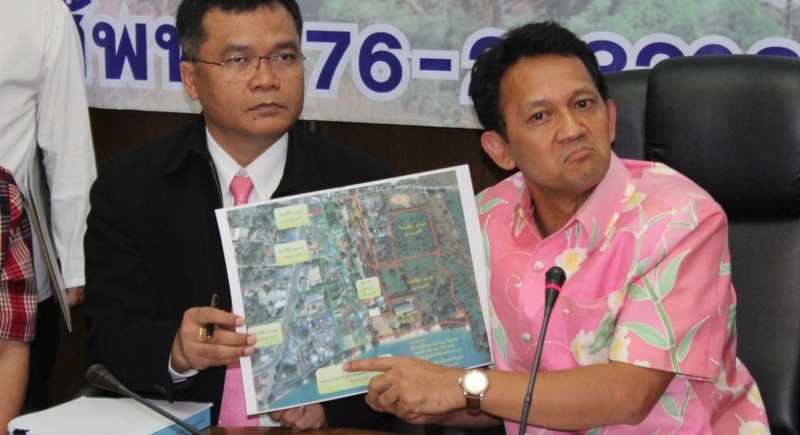 “When we examined the Chanote, we discovered that the adjacent public land was not marked on it, so Vice Governor Dr Prajiad Aksornthammakul will take care of this issue and we will get a proper document issued for public land,” Gov Chamroen said. “We have informed the sea gypsies that they will be allowed to use this public land to access their boats,” he added. Among those present at the meeting were National Human Rights Commissioner Gen Surin Pikulthong and Pol Lt Col Prawut Wongseenin, who is the chief of the Department of Special Investigation (DSI) Bureau of Consumer Protection and Environment Crime. Col Prawut alone has spearheaded several investigations into dubious claims for billions of baht of land now believed to be within the boundaries of Sirinath National Park. 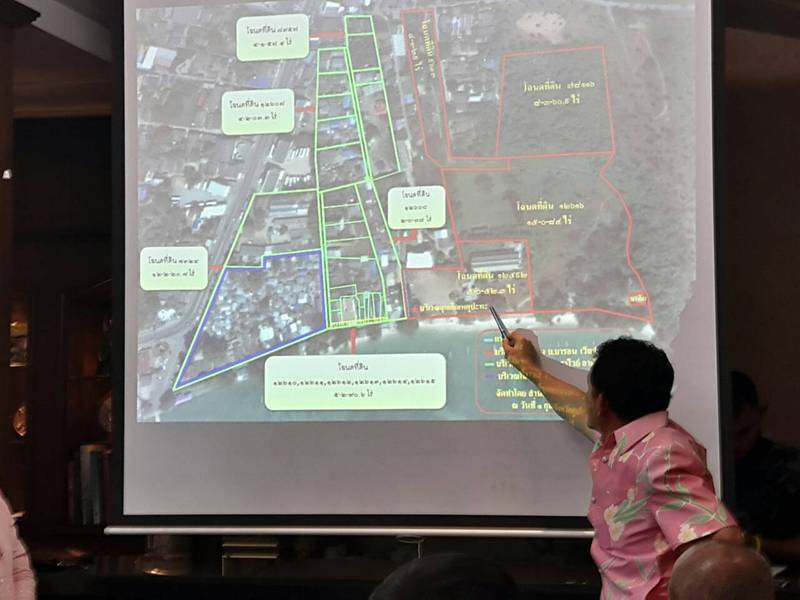 However, he has yet to respond to the latest news of the discrepancy between a Chanote being used to claim the beachfront plot at Rawai and the fact that the title does not mark the public land as the beachfront adjacent plot – a necessary feature for any Chanote. Meanwhile, the sea gypsies will take their fight to court, said Gov Chamroen. “The sea gypsies insist they want to be near their ceremonial site and said that they believe that the land titles were issued illegally and attempted to claim public land,” he said. “Also, the land owner (sic) also proposed that the government buy the land on behalf of the sea gypsies, which we will take into consideration if we can get the budget from the central government to pay for it. “We would really like to this as it helps to promote good living among the people,” said Gov Chamroen. “Either way, both parties have a legal right to seek justice over this issue if they still not pleased with our decision,” he added. 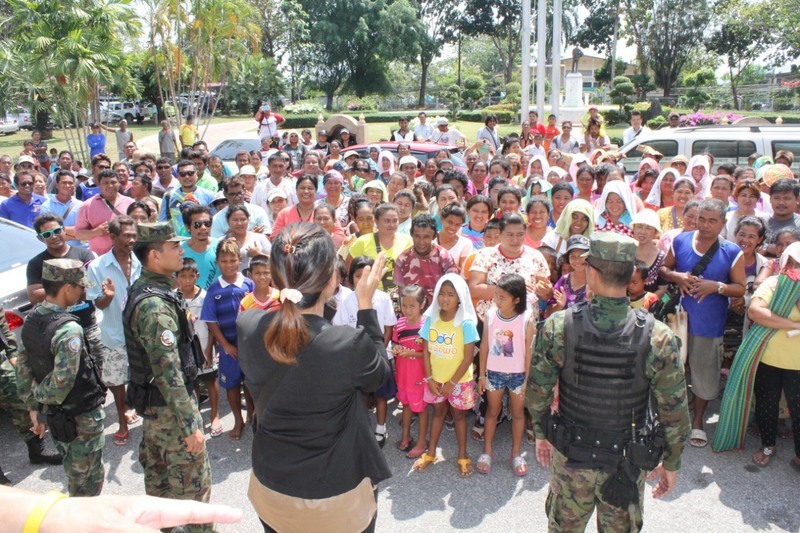 Present at the meeting representing the Rawai sea gypsies were spokesmen led by Sanit Saeshua, Saksai Jarutangsi, Bancha Hadsaisithong, as well as officers from the Royal Thai Navy Third Area Command and officials from as many as 16 government departments. When I read about that yesterdays meeting with more than 16 (!) government departments + navy involved, my mouth was falling open.